The Olympuss Games series is set in ancient Greece and ancient Rome. Cats rule the world and people have never existed. In the second book in the series, The Son of Spartapuss discovers that his friend Furia is on a secret quest. Before their adventure begins, they must defeat the one-eyed Cyclaw. "Many younger readers are keen to read my Spartapuss stories. But at 200 pages per book, the original series can be a bit difficult. For example: if you are aged 6-7 and you are reading 'chapter' books. Or if you're learning English, or if you are an 'improving' reader. So I've created a new four-part series. It starts in a gladiator school (The School for Strays). It features the Son of Spartapuss (cruelly nicknamed 'The Spartan' because he let slip that his father used to work in a spa!) 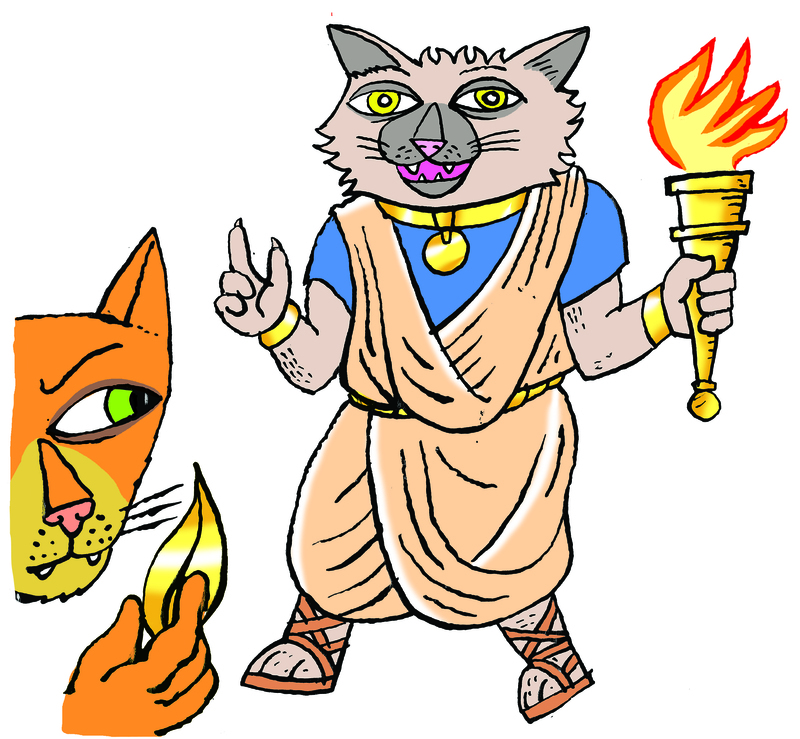 The Son of Spartapuss hooks up with an over-confident cat called Maxi and a fiery female called Furia. She has a nose for trouble! The books follow their adventures from the gladiator school in Rome to The Olympuss Games in Greece. When Nero was Emperor - the famous games in Greece were in a sad 'decline'. The Romans introduced some new ideas to the ancient competition in order to make them more exciting - like getting boxers to fight with iron gloves! This time I've set a puzzle that runs across four books. Each book features 15 drawings by the artist Chris Watson (who designed the cover for our Beowuff books). They are just 96 pages long - about half the length of the original Spartapuss books. The text is larger too so that makes them easy to read. The first two Olympuss Games books will be published in autumn 2014, with the final two appearing in 2015. P.S. Note to grown up readers (about 25 percent of readers are grown ups). If you enjoyed Spartapuss, you will probably like this new series but you might like to wait until they are parcelled up into a single volume." 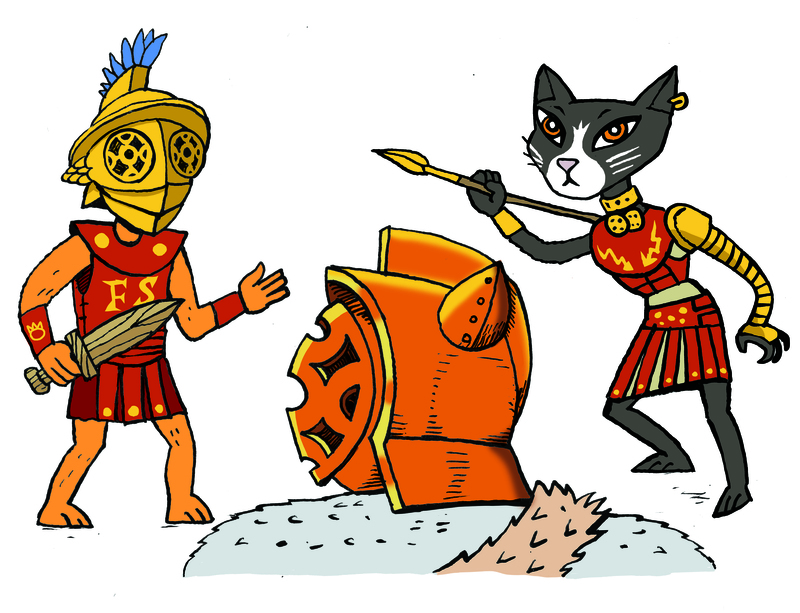 Author Events - Find out about bringing Spartapuss to your school. I Am Spartapuss Check out the original Spartapuss series.